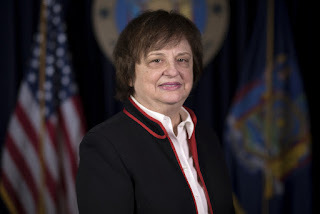 NEW YORK – Attorney General Barbara D. Underwood issued charitable giving tips today for Giving Tuesday, November 27th, which encourages charitable donations as families focus on their holiday and end-of-year giving. "Giving Tuesday is an opportunity for New Yorkers to give back this holiday season," Attorney General Underwood said. "If you plan on making a charitable donation to those in need, follow my office's tips to ensure they're going to reputable organizations." Take Time To Research The Organization. Make sure you are familiar with the organization, its mission, and its effectiveness before giving. Always ask for information in writing – and be wary if an organization will not provide information about its charitable programs and finances upon request. Any legitimate organization will be happy to send you information. Consult charitiesnys.com to make sure that the organization is registered, and to learn more about its mission and finances. Online platforms that host groups and individuals soliciting for causes do not vet those who use their service. Donors should find out whether a charity has authorized the campaign and if their contribution is tax deductible. Online platforms can be reached through their "Contact Us" button. You can also take a look at the site's policy statements to see how the site functions and what fees it charges. Know Where Your Money Will Go. Find out from the charity what it will do with your money. Review the charity's financial reports for information about how it spends donations. If you have been contacted by a telemarketer, review Pennies for Charity – the New York Attorney General's annual report on fundraising campaigns in New York – to see how much is spent on fundraising costs and how much is kept by the charity. Don't Be Pressured by Telemarketers. If you receive a telephone call from someone asking you to contribute to a charity, you have the right to hang up. Often the caller is a professional fundraiser who is being paid to call you. If you choose to consider the caller's request, ask how much of your donation will go to charity and if the telemarketer is being paid. Many telemarketing companies receive most of the money they raise. Be wary of claims such as "all proceeds will go to charity." Telemarketers are required to identify themselves and their employer and tell you they are being paid to call you. They also must respond truthfully to your questions. Don't fall for pressure tactics, such as repeated phone calls or threats. These are signs that the organization may not be legitimate. Always remember you have the right to say no to any charitable request. Ask To Be Put On A "Do Not Call" List. You have the right to request to be placed on the telemarketer's "Do Not Call" list. It is not illegal for telemarketers for charities to call telephone numbers on the FTC's Do Not Call Registry, but consumers can stop such calls by telling telemarketers not to call them on behalf of specific charities. Telemarketers are required to honor such requests. You may also ask a charity to take you off its solicitation list. Be Wary of Deceptive Tactics and Emotional Appeals. Watch out for charities with names that resemble those of prominent or established organizations—especially on days designated to charitable giving. Some charities use names similar to well-known charities in order to confuse donors. Be wary of emotional appeals that talk about problems, but are vague on how donations will be spent. Don't Disclose Personal Information. Never give your social security number or other personal information in response to a charitable solicitation. Never give out credit card information over the phone or to an organization you are not familiar with. If Donating Online or Via Text, Donate Securely. Always make sure that you are using secure methods of payment. When donating online, make sure the website is secure and includes "https://" in the web address. Before hitting send on a text donation, check the charity's website or call the charity to make sure contributions by text message are authorized. Some text solicitations are scams. Also, remember that donating by text means the organization may not receive the funds until after your phone bill is paid; contributions made directly to a charity can reach them faster. Never Give Cash. Give your contribution by check made payable to the charity. If you believe an organization is misrepresenting its work, or that a scam is taking place, please email the Attorney General's Charities Bureau at charities.complaints@ag.ny.gov or call 212-416-8401.